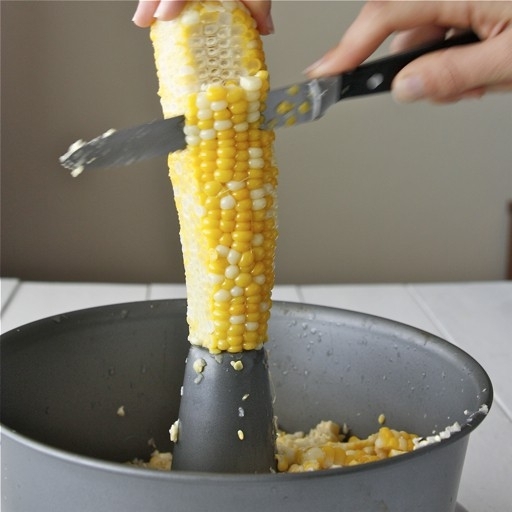 When cutting the corn off of the cob, place it in the center of an angel food cake or bundt pan for a secure hold. This way all of the corn falls into the pan, too. 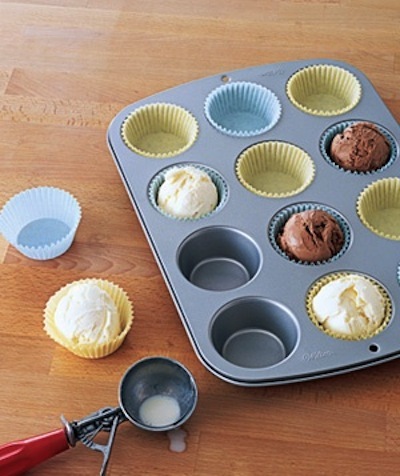 Before the party begins, prepare individual scoops of ice cream in a muffin pan filled with liners. When it’s ready to be served, you can take it out of the freezer and quickly and easily serve it with the cake. 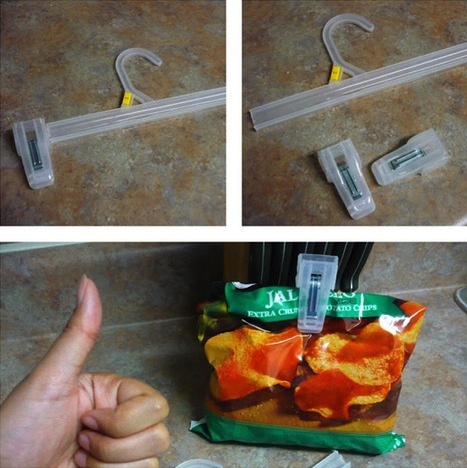 You can never have enough bag clips! I recall having a drawer full of these in the kitchen that have now dwindled down to just a few. 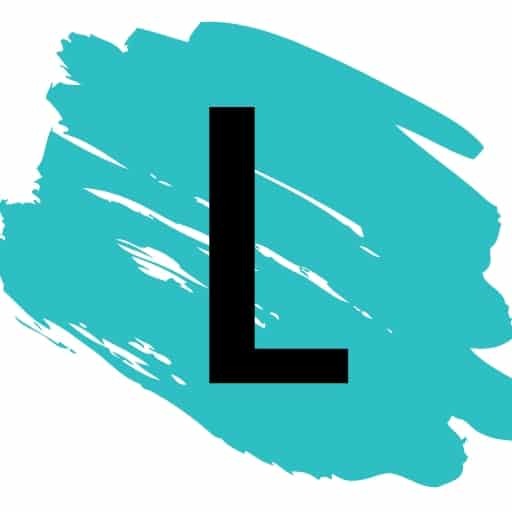 Recycle those clasps on the ends of hangers and repurpose them for the kitchen where they will actually get used.